Experienced front row, extremely strong at the scrum. Captain Fantastico – Sergio Parisse. Playing a full 80min game of rugby. Keeping a fly-half fit for 80min, let alone the tournament. 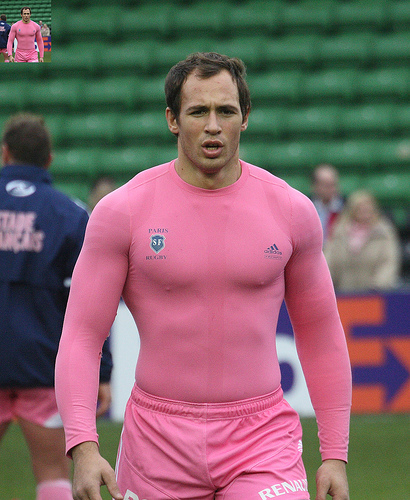 Sergio Parisse (Number 8, Stade Français) – needs no introduction. Tommaso Allan (Fly-Half, Perpignan) – the Scotland U20 fly half is talented but has only 14 caps. His role will be crucial! Mauro Bergamasco (Flanker, Zebre Rugby) – 36 years old and still capable of helping Italy win big games. Luca Morisi (Centre, Treviso) – showed his talent in the last Six Nations with two tries against England. Sergio Parisse – has he been mentioned yet? Andrea Masi (Fullback or Centre, Wasps) – 91 caps for Italy. Fly-half Kelly Haimona is injured. Most won’t miss his awful kicking stats and crash-ball style of play at fly-half. But that leaves Allan as the only capped fly-half in the Italian squad. Marco Bortolami (Lock, Zebre), Robert Barbieri (Flanker, Treviso), Michele Vinsentin (Wing, Zebre) were the latest to miss out when the 31-man squad was announced. Italy in the RWC are a bit of mystery. While they can front up against the big European teams in the Six Nations, they rarely make a strong case for themselves on the bigger stage. This, however doesn’t mean that they shouldn’t be taken seriously. In their recent narrow loss to Scotland they showed some composure which will be vital at the World Cup. Ever since the retirement of Diego Dominguez, Italy have struggled to find a reliable fly-half. Luciano Orquera (48 caps) is now retired from international rugby and the Six Nations starter Kelly Haimona (7 caps) is injured. This leaves Tommaso Allan (14 caps) as the first choice of fly-half for the RWC. The Perpignan player who played for Scotland U20 is able to lead the team but will need to stay fit for Italy to have a fighting chance. The uncapped 23 year old Carlo Canna will be Italy’s only specialist back up in the position. Fullback Luke McLean is the other solution if there are more injuries or poor performances. Captain Fantastico Sergio Parisse will again be Italy’s most noticeable player. He’s played immensely well all season for Stade Français and ended up winning the Top 14 title. He’ll come to the RWC full of confidence and ready to cause an upset.